Laboratory / Manufacturer: Abb Vie Inc.
DUODOPA may have a significant influence on the ability to drive and use machines. Levodopa and carbidopa may cause dizziness and orthostatic hypotension. Therefore, driving vehicles and using machines should be carried out with care. Therefore, patients treated with DUODOPA with drowsiness and / or sudden drowsiness should be advised to refrain from driving or performing an activity (eg using machines) where altered expose themselves or expose others to the risk of serious injury or death until these episodes or the somnolence repeatedly disappeared (see also Warnings and precautions ). Hypersensitivity to levodopa, carbidopa or any of the excipients listed in section composition . Non-selective MAO inhibitors and selective MAO-A inhibitors are contraindicated with DUODOPA. These inhibitors should be discontinued at least two weeks prior to initiation of DUODOPA therapy. DUODOPA can be administered simultaneously with the dose recommended by the manufacturer of a selective inhibitor of MAO-B (eg, selegiline HCl) (see Interactions with other drugs and other forms of interaction ). DUODOPA is contraindicated in case of adrenergic contraindications, for example: pheochromocytoma, hyperthyroidism, Cushing's syndrome. Since levodopa can activate malignant melanoma, DUODOPA should not be used in patients with suspected undiagnosed skin lesions or a history of melanoma. The warnings and precautions for DUODOPA are the same as for other pharmaceutical forms of levodopa. DUODOPA is not recommended for the treatment of extrapyramidal syndromes induced by drugs. The DUODOPA treatment should be administered with caution in patients with severe cardiovascular or pulmonary disease, bronchial asthma, kidney disease, liver or endocrine, or history of ulcer peptic or seizures. In patients with a history of myocardial infarction with residual nodal arrhythmias or ventricular cardiac function should be monitored with particular care during the period of adjustment of the initial dosage. All patients DUODOPA should be closely monitored in order to detect the possible development of alterations in mental status, depression with suicidal tendencies, and other serious mental changes. Patients with a history or symptoms of psychosis should be treated with caution. Concomitant administration of neuroleptics inhibitors of dopamine receptors, particularly D2 receptor antagonists, should be done with caution, and the patient should be monitored closely to monitor the potential occurrence of a loss of effect antiparkinsonian or worsening of parkinsonian symptoms (see also section interaction with other medicinal products and other forms of interaction ). Patients with chronic open-angle glaucoma can be treated cautiously DUODOPA, provided the intraocular pressure is properly controlled and monitored to detect any changes in intraocular pressure. DUODOPA may induce orthostatic hypotension. Therefore, DUODOPA be administered with caution in patients receiving other medications which may cause orthostatic hypotension (see also Interactions with other drugs and other forms of interaction ). Levodopa has been associated with somnolence as well as suddenly falling asleep in patients with Parkinson's disease, thus driving a vehicle or operating machinery should be performed with caution in these patients ( see section Effects on ability to drive and use machines ). A complex symptoms suggesting the neuroleptic malignant syndrome including muscular rigidity, increased body temperature, mental changes (eg, agitation, confusion, coma) and increased serum creatine phosphokinase, has been notified in The abrupt cessation of antiparkinsonian drugs. Rhabdomyolysis secondary to neuroleptic malignant syndrome or severe dyskinesia has been observed rarely in patients with Parkinson's disease. Therefore, patients should be closely observed when the levodopa / carbidopa combination dosage is abruptly reduced or discontinued, especially if the patient is treated with neuroleptics. 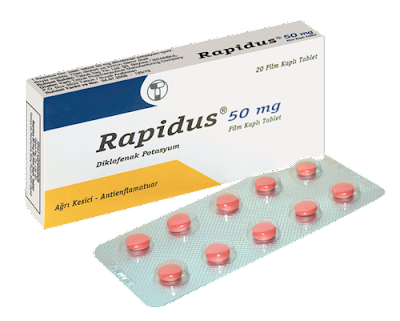 Neuroleptic malignant syndrome or rhabdomyolysis in association with DUODOPA has not been reported. Patients should be regularly monitored in order to detect the possible development of a disorder of impulse control. 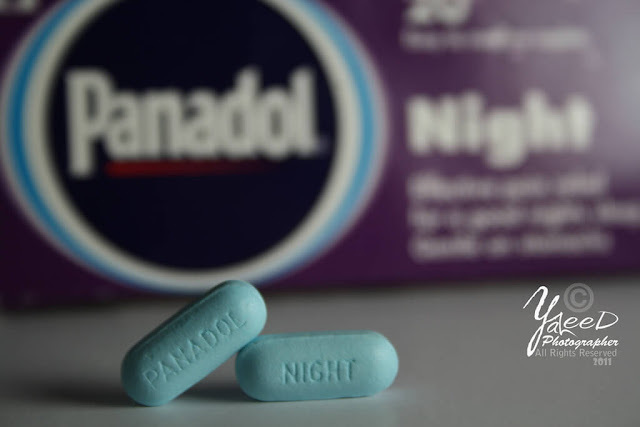 Patients and caregivers should be advised that in patients treated with dopaminergic agonists and / or dopaminergic drugs containing levodopa, including DUODOPA, it is possible that behavioral symptoms related to impulse control disorders such as gambling Pathological, increased libido, hypersexuality, compulsive expenditure or purchases, excessive consumption of food and compulsive feeding. Treatment should be reviewed if symptoms appear. Epidemiological studies have shown that patients with Parkinson's disease have a higher risk of developing melanoma than the general population. It is not known whether the observed increase in risk is due to Parkinson's disease or other factors, such as the drugs used to treat the disease. Patients and physicians should therefore regularly monitor the occurrence of melanomas during the use of DUODOPA, regardless of the indication. Ideally, periodic skin examinations should be performed by appropriately qualified persons (dermatologists, for example). If general anesthesia is required, DUODOPA treatment can be continued as long as the patient is permitted to take fluids and medication by mouth. If treatment should be discontinued temporarily, DUODOPA may be resumed at the same dose as before oral administration of fluids is permitted. The dose of DUODOPA may need to be reduced in order to avoid levodopa induced dyskinesia. Periodic evaluation of hepatic, hematological, cardiovascular and renal function is recommended during extended therapy with DUODOPA. DUODOPA contains hydrazine, a degradation product of carbidopa that can be genotoxic and possibly carcinogenic. The recommended average daily dose of DUODOPA is 100 ml, ie 2 g of levodopa and 0.5 g of carbidopa. The maximum recommended daily dose is 200 ml. This corresponds to exposure to hydrazine up to 4 mg / day on average and up to 8 mg / day. The clinical consequences of this exposure to hydrazine are not known. If a history of surgery in the upper abdomen, difficulties may be encountered for performing a gastrostomy or jejunostomy. Complications reported in clinical studies include: bezoar, ileus, erosion / ulceration of the implantation site, intestinal bleeding, intestinal ischemia, intestinal obstruction, intestinal perforation, pancreatitis, peritonitis and pneumoperitoneum postoperative wound infection. The bezoars are concretions of undigested foods retained in the digestive tract. Most bezoars are found in the stomach but bezoars can be encountered anywhere in the digestive tract. Abdominal pain can be a symptom of the complications mentioned above. Some events can have serious consequences, such as the need for surgery and / or death. Patients should inform their physician if they have any of the symptoms associated with the above events. A reduction in the ability to handle the system (pump, tube connections) can lead to complications. In these patients, a caregiver (eg, a nurse, caregiver or close relative) must assist the patient. A sudden or gradual worsening of bradykinesia may indicate an obstruction in the device for any reason, and require investigation. Interaction studies have not been conducted with DUODOPA. The following interactions are known for levodopa / carbidopa. Symptomatic orthostatic hypotension occurred when combinations of levodopa and a decarboxylase inhibitor were added to the treatment of patients already receiving antihypertensives. An adjustment of the dosage of the antihypertensive agent may be necessary. Adverse events have rarely been reported, including hypertension and dyskinesia following the concomitant administration of tricyclic antidepressants and carbidopa / levodopa combinations. Anticholinergics can act synergistically with levodopa to decrease tremors. However, their simultaneous use may exacerbate abnormal movements. Anticholinergics may decrease the effects of levodopa by delaying its absorption. A dose adjustment of DUODOPA may be necessary. Concomitant use of COMT inhibitors (Catechol-O-methyl transferase) and DUODOPA may increase the bioavailability of levodopa. The dosage of DUODOPA may require adjustment. Dopamine receptor antagonists (some neuroleptics, including phenothiazines, butyrophenones and risperidone as well as antiemetics, including metoclopramide), benzodiazepines, isoniazid, phenytoin and papaverine may reduce the therapeutic effects of levodopa. Patients receiving these medicinal products concurrently with DUODOPA should be monitored closely to detect any decrease in therapeutic response. DUODOPA may be concomitantly administered to a type B MAO monoamine oxidase inhibitor (eg, selegiline hydrochloride) at the recommended dosage. The dosage of levodopa may need to be reduced when a selective MAO-B inhibitor is added. Concomitant use of selegiline and levodopa / carbidopa has been associated with severe orthostatic hypotension. Amantadine has a synergistic effect with levodopa, and may increase the undesirable effects associated with levodopa. Dosage adjustment of DUODOPA may be necessary. Sympathomimetics may increase the cardiovascular adverse effects associated with levodopa. Levodopa chelates with iron in the gastrointestinal tract, leading to a reduction in the absorption of levodopa. To the extent that levodopa is competitive with certain amino acids, levodopa absorption may be disrupted in patients receiving a high protein diet. The effects of the administration of antacids and DUODOPA on the bioavailability of levodopa have not been studied. The main symptoms of an overdose of levodopa / carbidopa are dystonias and dyskinesias. Blepharospasm may be an early sign of overdosage. The treatment of an acute overdose of DUODOPA is generally the same as that of an acute overdose of levodopa. However, pyridoxine has no antagonistic effect on the action of DUODOPA. Electrocardiographic monitoring should be used and the patient should be closely monitored for possible cardiac arrhythmias; Where appropriate, appropriate antiarrhythmic treatment should be established. The possibility of combination therapy should be taken into account. Currently, no dialysis treatment experience has been reported, therefore its value in treating an overdose is not known. DUODOPA is in the form of a suspension in a gel for continuous intestinal administration. For long-term administration, this gel should be administered directly to the duodenum or the upper part of the jejunum using a portable pump, by an indwelling catheter positioned in percutaneous endoscopic gastrostomy including Placement of an external transabdominal probe and an internal intestinal probe. Radiological gastro-jejunostomy may be considered alternatively if percutaneous endoscopic gastrostomy can not be performed for any reason. The placement of the probe and adjustment of the initial dose must be done by a neurology department. A temporary naso-duodenal / naso-jejunal probe should be considered to determine whether the patient is responding favorably to this method of treatment before a percutaneous endoscopic gastrostomy probe with a jejunal probe (GEP-J probe) is installed . If the doctor considers that this evaluation is not necessary, the naso-jejunal test phase may be omitted and treatment initiated directly with the placement of the GEP-J probe. 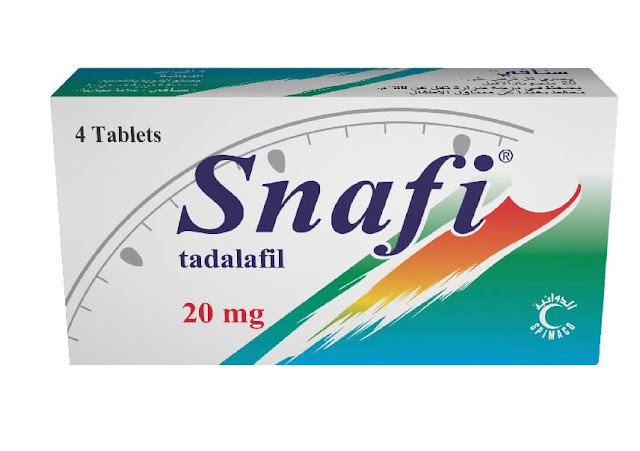 The dosage will be individually adjusted to achieve an optimal clinical result, which is to maximize the useful ON time during the day by minimizing the number and duration of OFF periods (bradykinesia) and minimizing the ON time With disabling dyskinesias (see recommendations under Dosage). DUODOPA should be administered initially as monotherapy. Taking another antiparkinsonian in combination is possible if necessary. Use only the CADD-legacy 1400 pump (CE 0473) for product administration. A manual of the portable pump is supplied with the pump. Treatment with DUODOPA using an indwelling catheter can be stopped at any time by removing the probe and allowing the wound to heal. Treatment should then be continued with oral medications, including the combination of levodopa and carbidopa. The total daily dose of DUODOPA consists of three individually adjusted doses: morning bolus dose, continuous maintenance dose and additional bolus doses administered over approximately 16 hours. Drug cassettes are for single use and should not be used for more than 16 hours, even if residual product is present. Do not reuse an opened cassette. At the end of the shelf life, the suspension may turn slightly yellow. This has no influence on product concentration or medical treatment. The morning bolus dose is administered with the pump so as to reach the therapeutic dose level quickly (within 10 to 30 minutes). The dose should be calculated on the basis of the previous morning dose of levodopa plus the filling volume of the probe. The morning dose is generally between 5 and 10 ml, which corresponds to 100 - 200 mg of levodopa. The total morning dose should not exceed 15 ml (300 mg levodopa). The maintenance dose can be adjusted in increments of 2 mg / hour (0.1 ml / hour). This dose should be calculated based on the patient's previous daily intake of levodopa. If the associated treatments are discontinued, the dose of DUODOPA should be adjusted. The continuous maintenance dose is adjusted individually. It should be within a range of 1 to 10 ml / hour (20 to 200 mg levodopa / hour) and is usually 2 to 6 ml / hour (40 to 120 mg levodopa / hour) . The maximum recommended daily dose is 200 ml (see Warnings and precautions ). A higher dose may be necessary in exceptional cases. Administration is calculated over 16 hours: 75 ml / 16 hours = 4.7 ml / hour. They are administered as needed if the patient becomes hypokinetic during the day. The additional dose should be adjusted individually, usually between 0.5 and 2.0 ml. In rare cases, a higher dose may be necessary. If the need for additional daily doses exceeds 5 per day, the maintenance dose should be increased. Once the initial dose has been established, the precise adjustment of the bolus morning dose, maintenance dose and additional bolus doses should be done within weeks of starting treatment. The nocturnal administration of DUODOPA is possible if the clinical picture warrants it. A sudden decrease in the effectiveness of the treatment marked by recurrent motor fluctuations must lead to a suspicion of displacement of the distal part of the duodenum / jejunum probe in the stomach. A radiological check will then be performed to determine the location of the probe and its end will be repositioned in the duodenum / jejunum. There is no justified use of DUODOPA in the pediatric population in the indication of advanced Parkinson's disease with severe motor fluctuations and hyper- / dyskinesias responding to levodopa. The experience of using levodopa and carbidopa in the elderly is important. 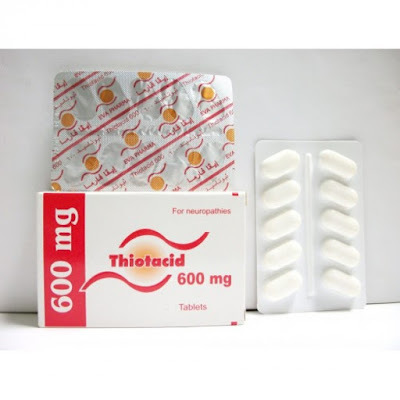 Doses for all patients, including elderly patients, are adjusted individually by titration. No studies on the pharmacokinetics of carbidopa and levodopa have been conducted in patients with hepatic or renal impairment. The dose of DUODOPA is individualized by titration in order to obtain the optimum effect (which corresponds to optimally optimized plasma lev- els for levodopa and carbidopa); Therefore, the potential effects of hepatic or renal insufficiency on exposure to levodopa and carbidopa are indirectly taken into account by titration of the dose. The dose titration should be performed with caution in patients with severe renal or hepatic impairment (see Warnings and precautions ). Patients should be closely monitored in case need of a quick reduction in dosage, or if it becomes necessary to discontinue the treatment using DUODOPA, particularly in patients receiving neuroleptics (see Warnings and precautions employment ). In case of suspicion or diagnosis of dementia with decreased alertness, the pump should be handled only by the nurse or a caretaker. 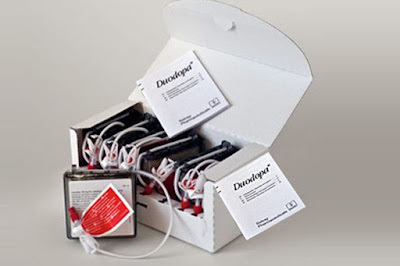 When a cassette is to be used, it must be connected to the portable pump and the system must be connected to the naso-duodenal probe or duodenal / jejunal probe to administer the product as instructed. Duodopa gel off white to slightly yellow. Pharmacotherapeutic group: antiparkinsonian, levodopa and decarboxylase inhibitor. DUODOPA is a combination of levodopa and carbidopa (4: 1 ratio) suspended in a gel for continuous enteral infusion in advanced Parkinson's disease with severe motor fluctuations and hyper- / dyskinesia. Levodopa is a metabolic precursor of dopamine that relieves the symptoms of Parkinson's disease after decarboxylation to dopamine in the brain. Carbidopa, which does not cross the blood-brain barrier, inhibits the extracerebral decarboxylation of levodopa, which means that larger amounts of levodopa become available to be transported to the brain and converted to dopamine. If carbidopa was not given at the same time, obtaining the desired effect would require a much higher dose of levodopa. The enteral infusion of individual doses of DUODOPA maintains plasma levels of levodopa at a stable level within individual therapeutic windows. Endometrial perfusion therapy with DUODOPA reduces motor fluctuations and decreases OFF time for patients with advanced Parkinson's disease who have been receiving levodopa therapy with decarboxylase inhibitor Tablet form. Motor fluctuations and hyper- / dyskinesias are reduced due to a lower variability of levodopa plasma concentrations compared to levodopa / oral carbidopa, which allows treatment in a narrow therapeutic window. The therapeutic effect on motor fluctuations and hyper- / dyskinesias is often obtained during the first day of treatment. The efficacy of DUODOPA was confirmed in two identical, multi-center, randomized, double-blind, double-placebo, active-controlled, parallel-group, 12-week design studies evaluating efficacy, safety And tolerability of DUODOPA versus levodopa / carbidopa 100/25 mg tablets. The studies were conducted in patients with advanced Parkinson's disease, responding to levodopa and presenting persistent motor fluctuations despite oral levodopa / carbidopa treatment and other optimized antiparkinsonian drugs; They included a total of 71 patients. The results of the two studies were pooled and a single analysis was performed. The primary endpoint of efficacy evaluation, the variation of standardized "OFF" time (between initial and final visit) based on Parkinson's Disease Diary © data using the method Of the last observed value, demonstrated a statistically significant difference in statistically significant least squares (CD) means in favor of the DUODOPA treatment group (Table 3). Results of the primary endpoint were confirmed by MMRM (Mixed Measurement of Repeated Measurement) which examined the variation in the criterion between the inclusion visit and each follow-up study visit. This "OFF" time analysis showed a statistically significant improvement in the DUODOPA versus the levodopa / oral carbidopa group at week 4; This improvement was statistically significant at weeks 8, 10 and 12. This variation in "OFF" time was associated with a statistically significant difference in mean CT mean versus inclusion for the mean daily mean ON time with no troublesome dyskinesias between the DUODOPA treatment group and the treatment control group Based on data from the Parkinson's Disease Diary ©. The inclusion values ​​were collected 3 days before randomization and after 28 days of standardization of the oral treatment. Analyzes of other secondary efficacy endpoints in the order of the hierarchical testing procedure showed statistically significant results for DUODOPA compared to levodopa / oral carbidopa for the following parameters: Parkinson's Disease Questionnaire (PDQ-39), Clinical Global Impression (CGI-I) score, and UPDRS II score (Part II - Daily Life Activities of Unified Parkinson's Disease Rating Scale - Unified Parkinson's Disease Rating Scale). The summary index PDQ-39 showed a decrease of 10.9 points at week 12 versus inclusion. The other secondary endpoints, the UPDRS III score, the summary EQ-5D index and the total score ZBI, did not reach the threshold of statistical significance on the basis of the hierarchical test procedure. A Phase III multicentre, open-label, single-dose study was conducted to evaluate the safety and long-term safety of DUODOPA over 12 months in 354 patients. The target population consisted of patients with advanced Parkinson's disease, responding to levodopa and presenting persistent motor fluctuations despite treatment with optimized antiparkinsonian drugs. The standardized mean daily "OFF" time decreased by 4.44 hours between the start and the end of the study (6.77 hours at the initial visit and 2.32 hours at the final visit), with a corresponding increase of 4.8 hours of "ON" time without dyskinesias. The safety of DUODOPA in patients under the age of 18 years has not been established and the use of DUODOPA is not recommended in this population.